The Honorable Harold Powell is the Town Clerk for Shorter, Alabama. He is also a certified Community Developer, a Regional Planner and an active and concerned Macon County citizen. 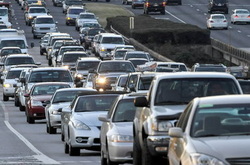 Learn the latest in traffic news from the Shorter Traffic Blog. Just click on the title or picture on the left. Many years after discovering I have a family line that comes through Macon County, I found some family notes about a place there called Cross Keys.